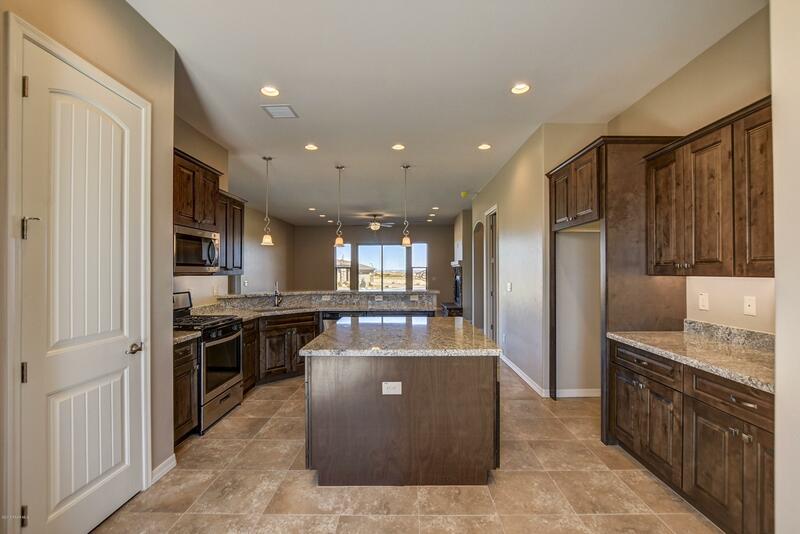 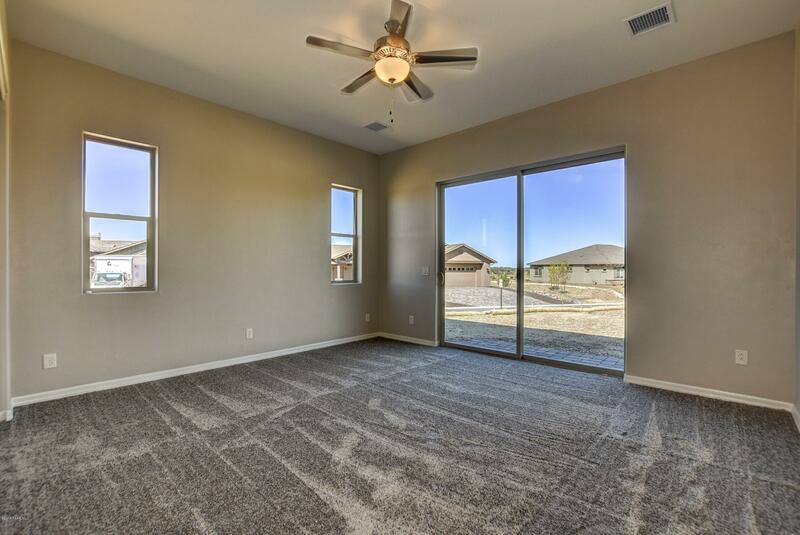 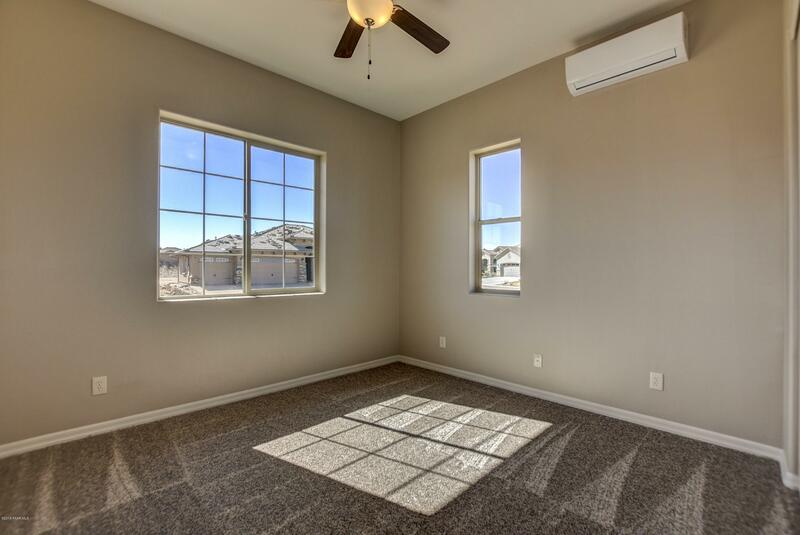 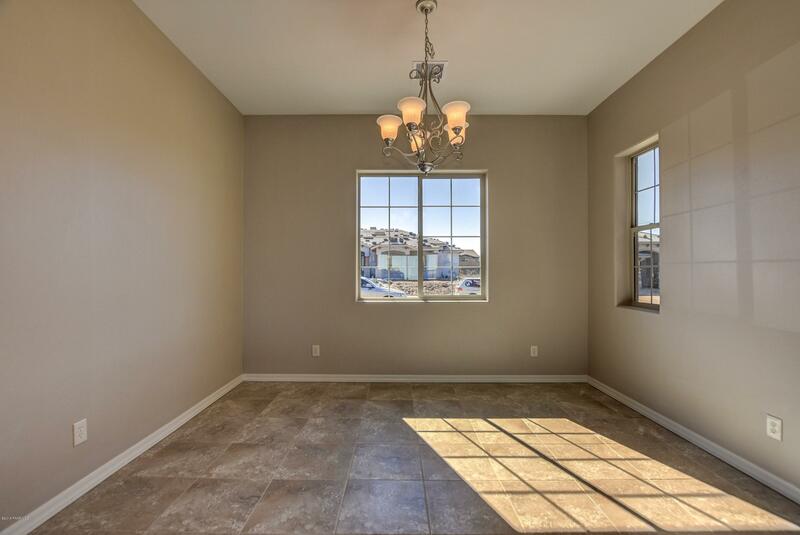 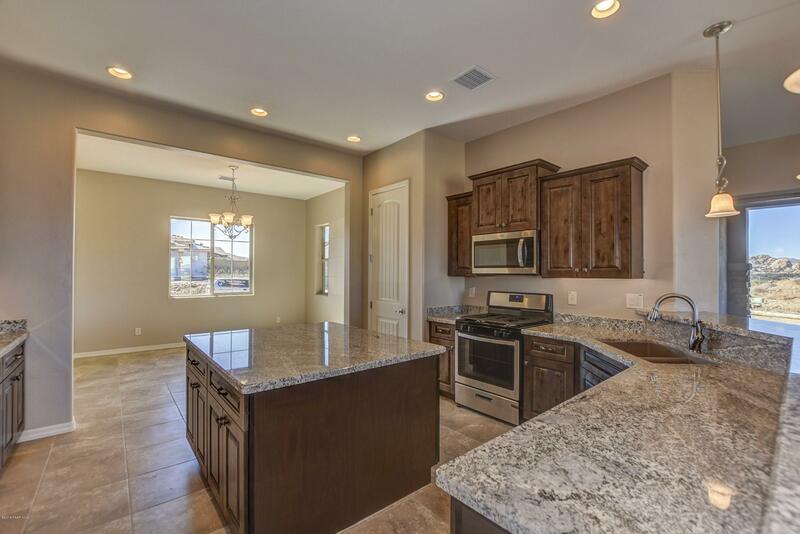 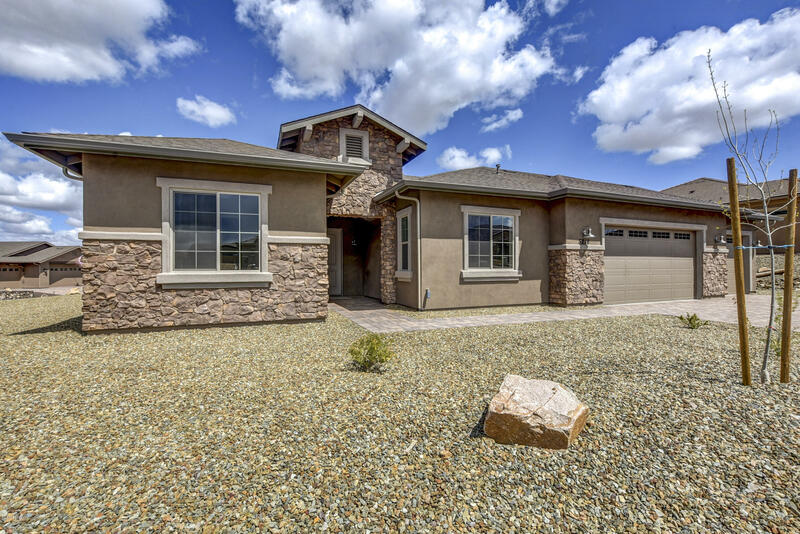 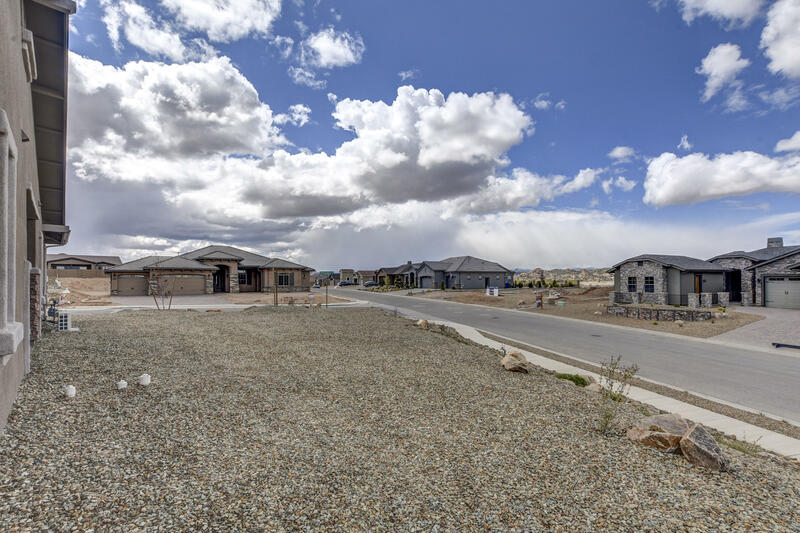 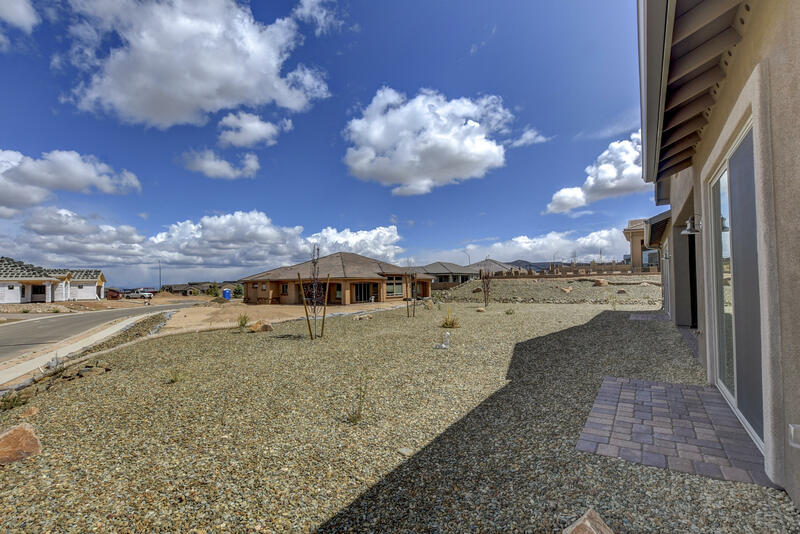 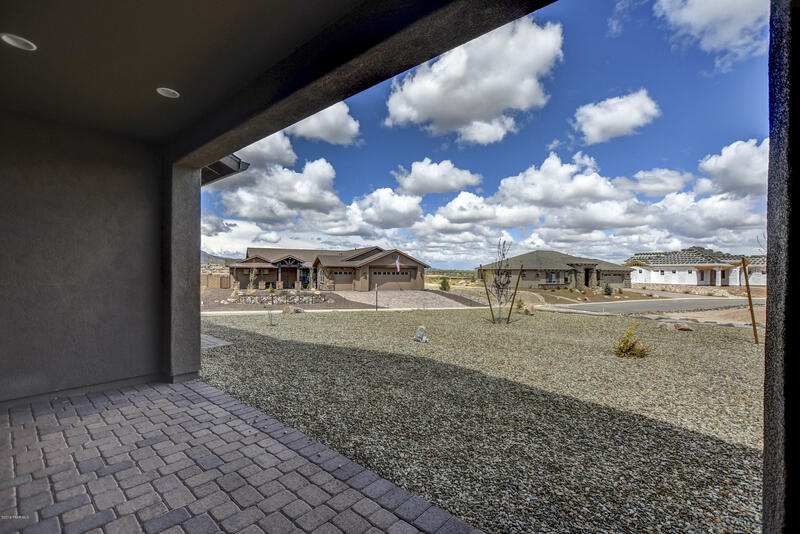 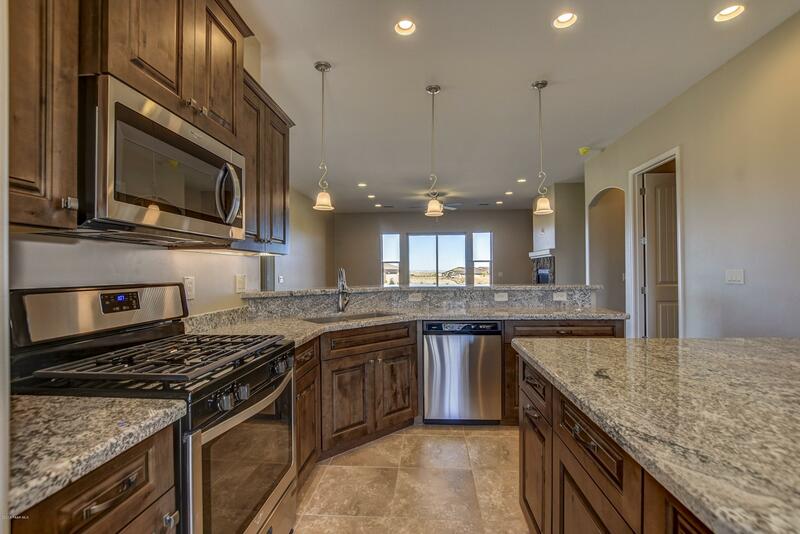 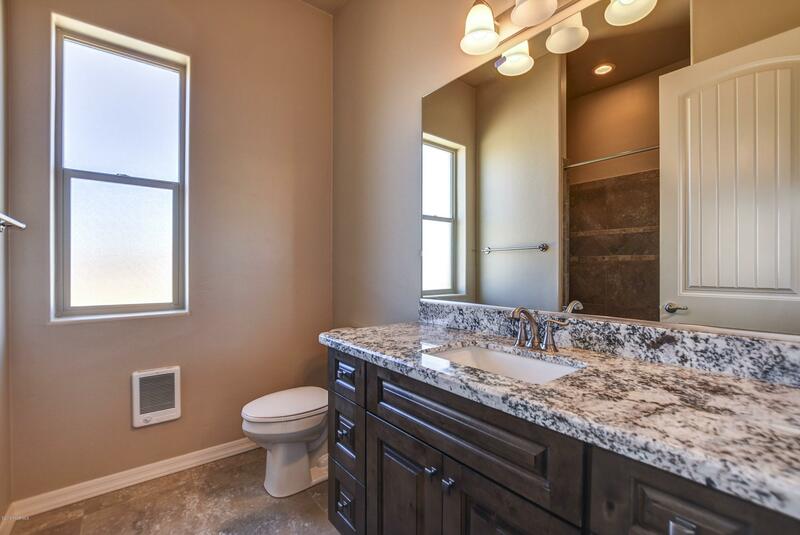 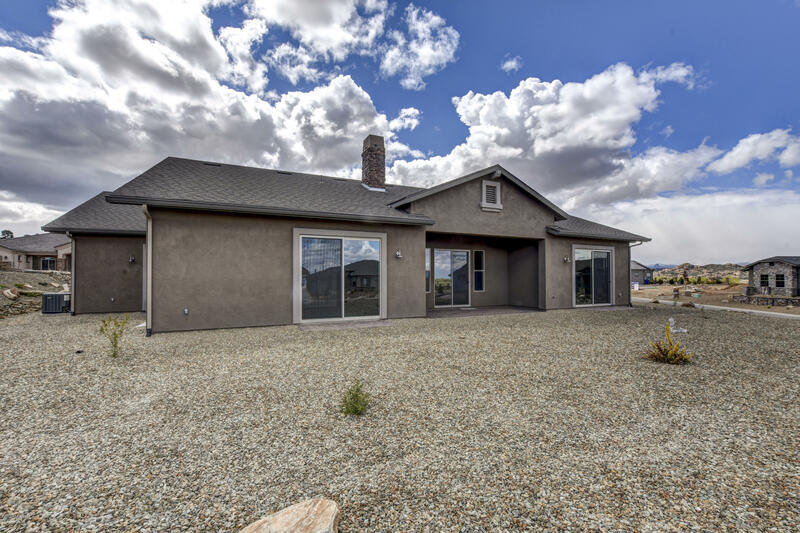 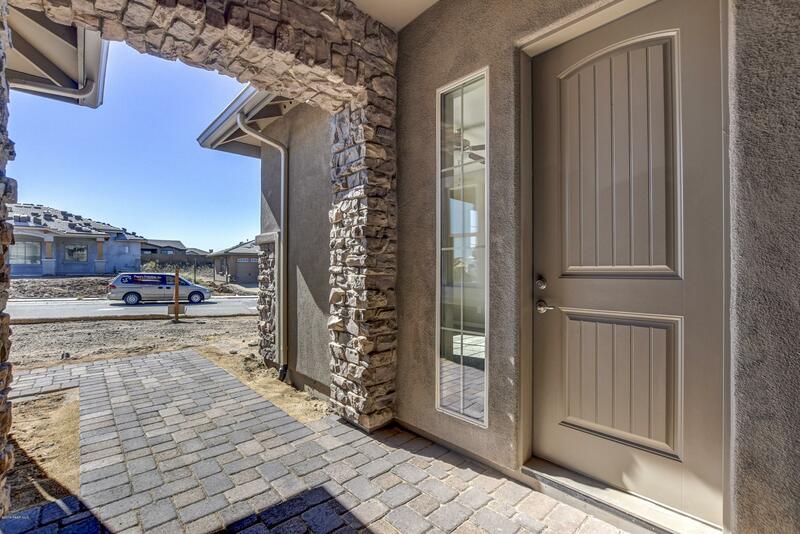 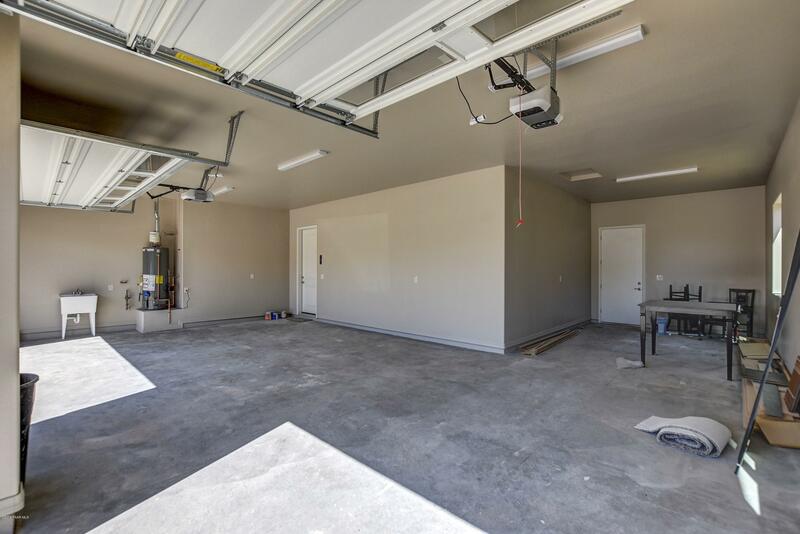 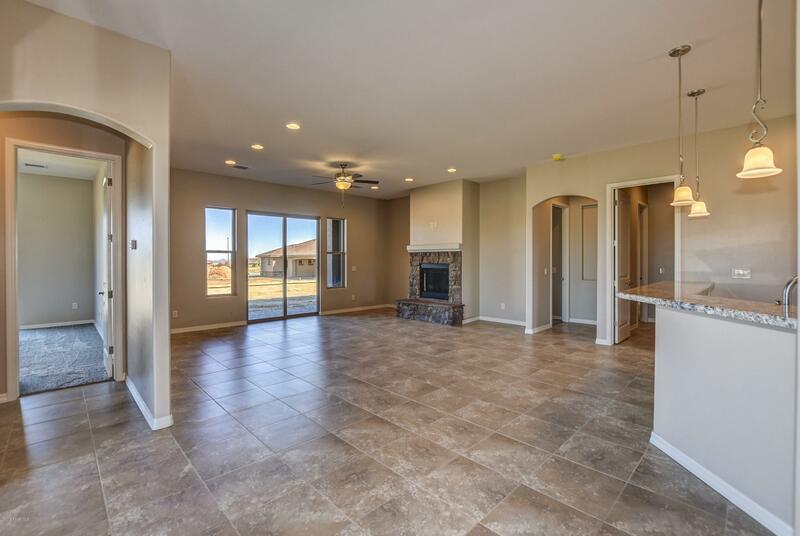 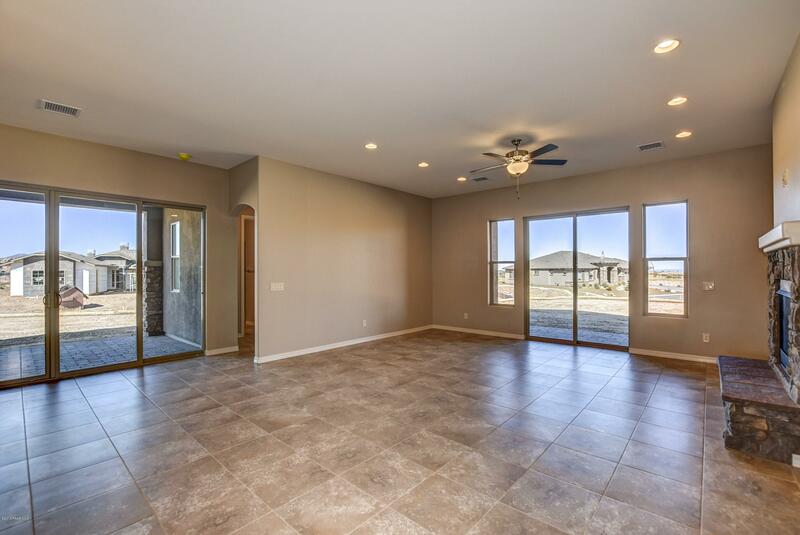 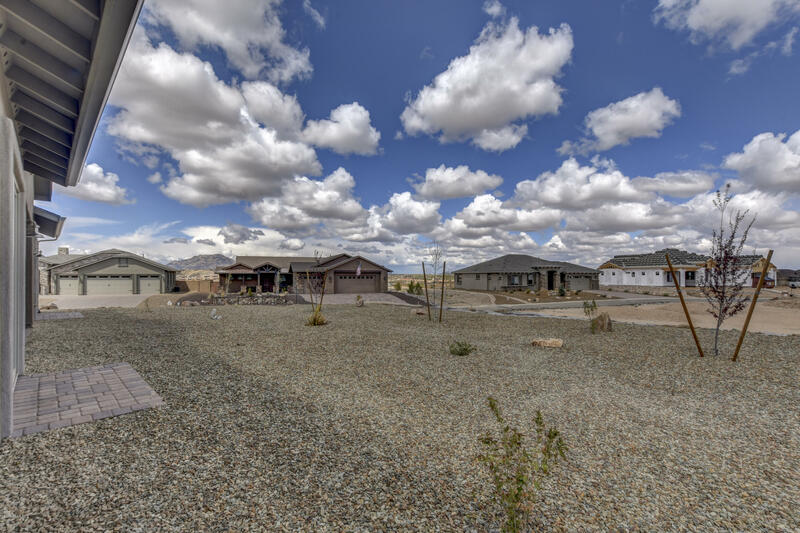 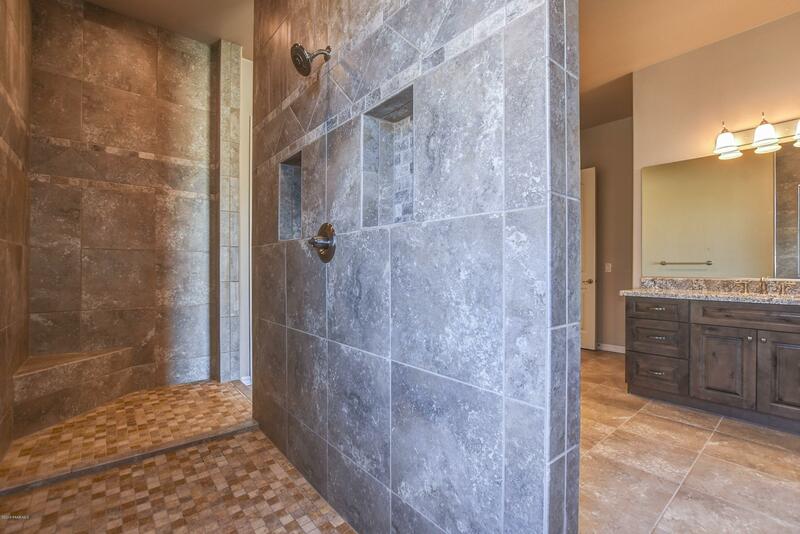 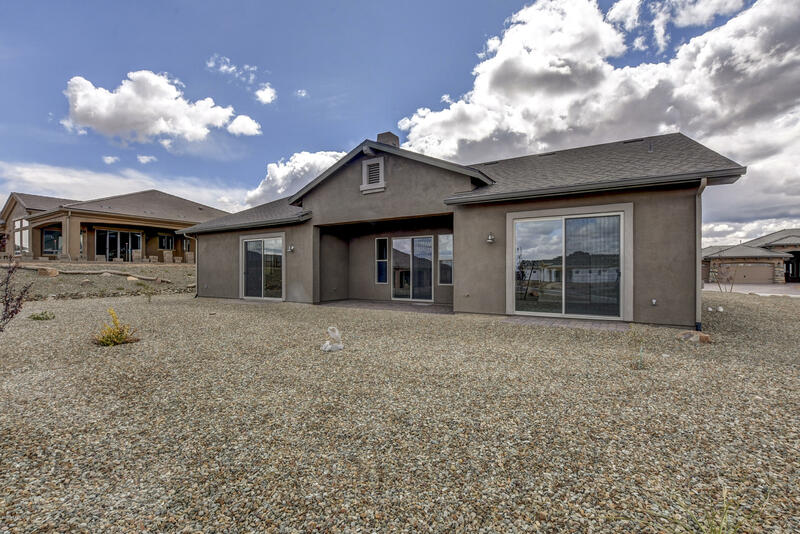 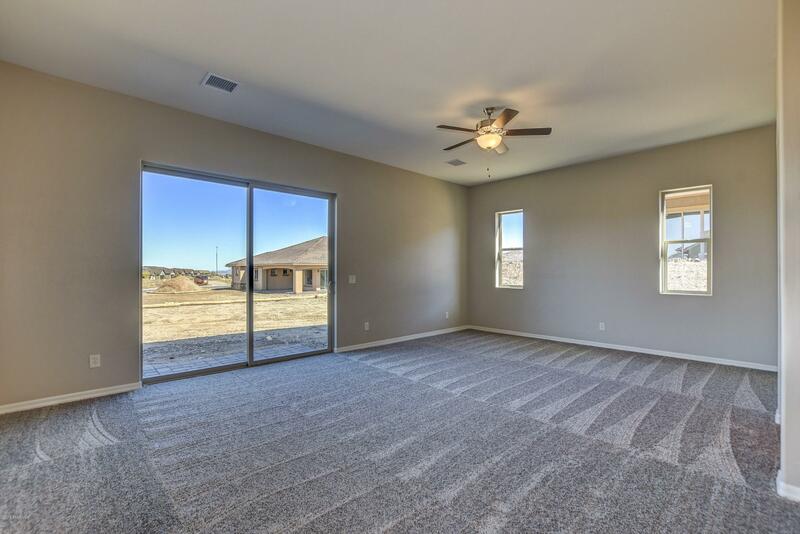 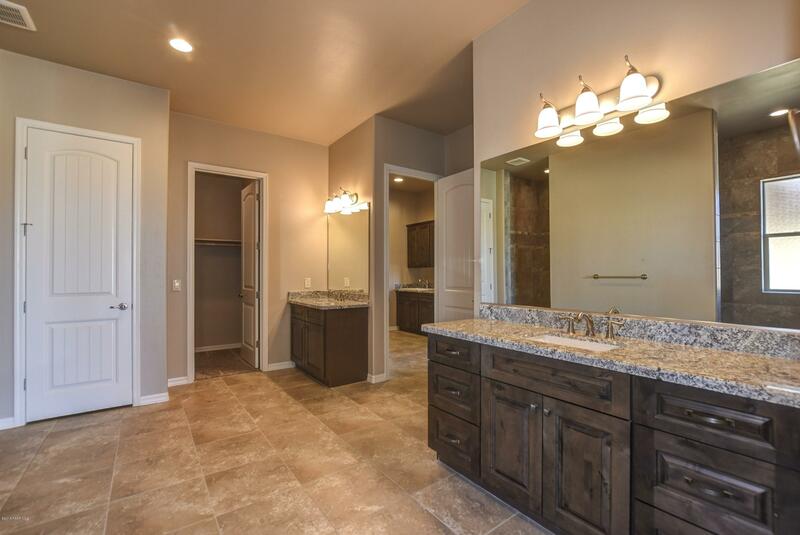 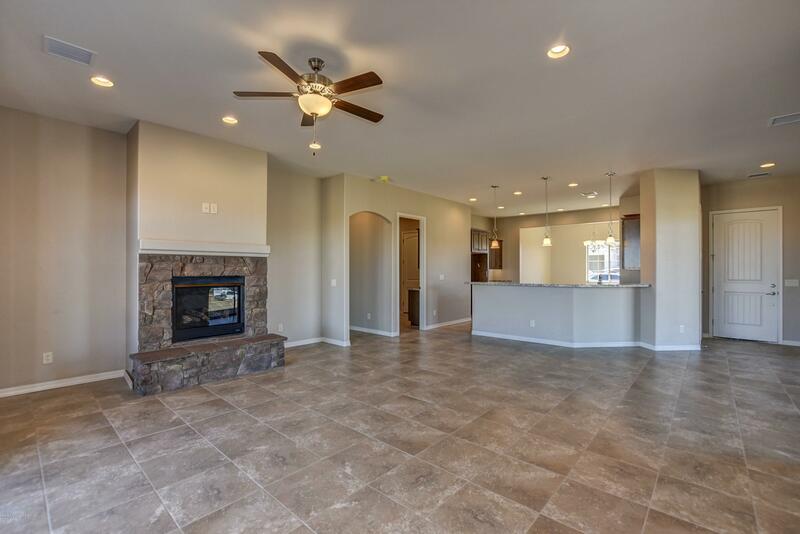 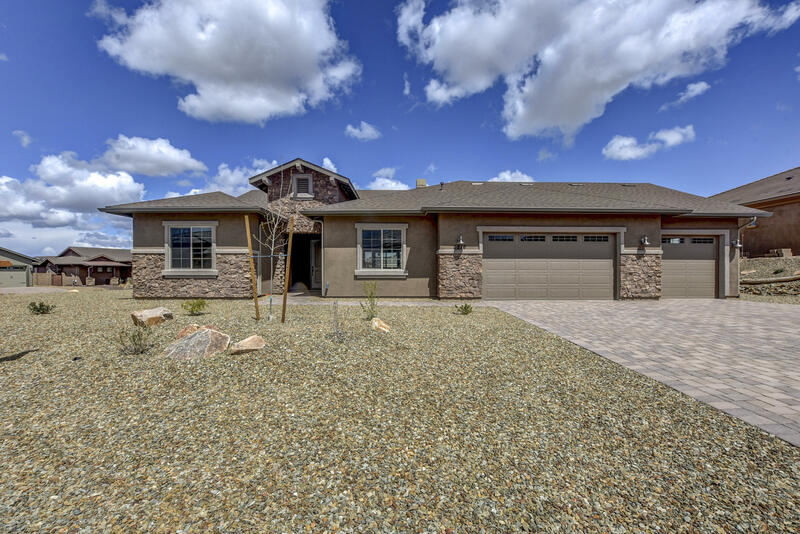 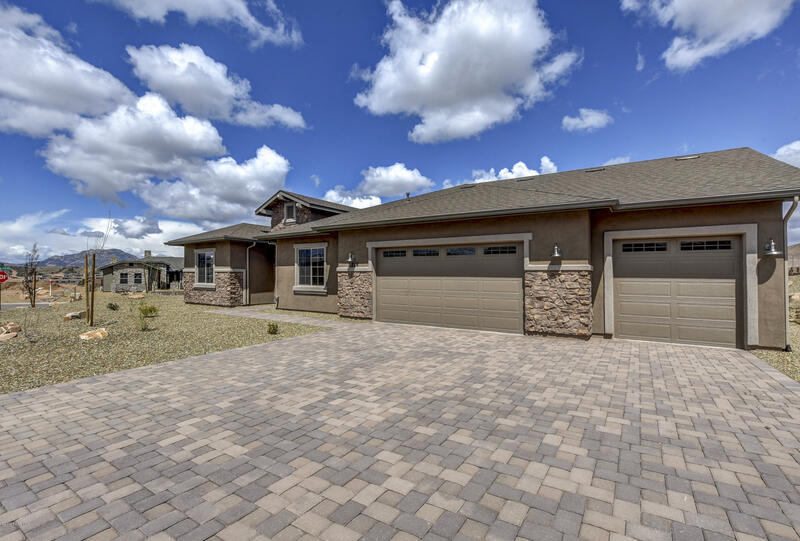 Gorgeous custom brand new Reserve home with peekaboo views of the Dells and Granite Mountain! 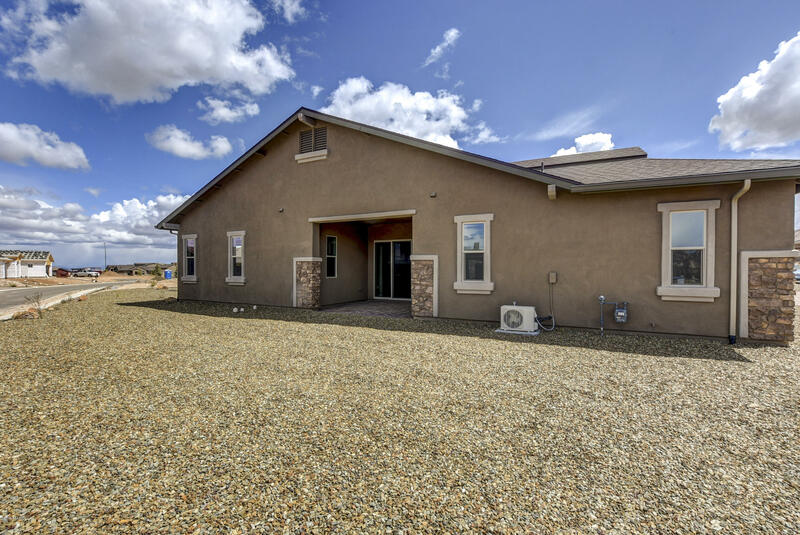 This home features two bedrooms, great room, kitchen, dining and laundry room in the main house. 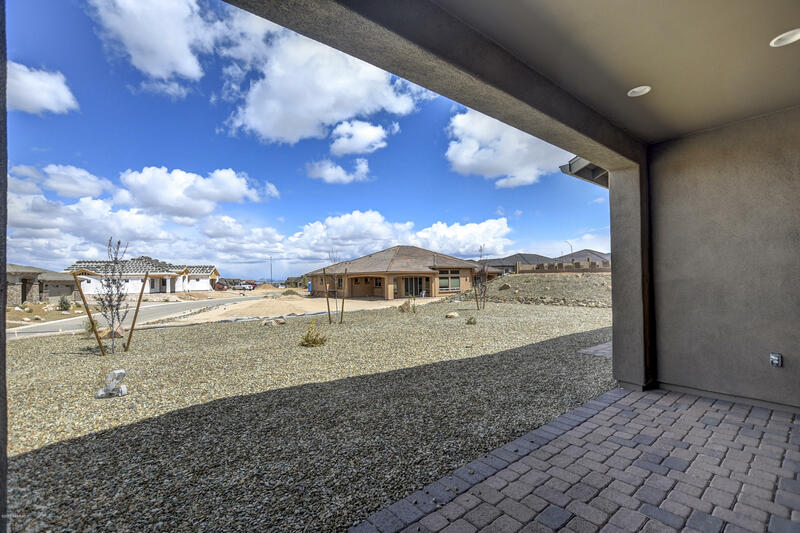 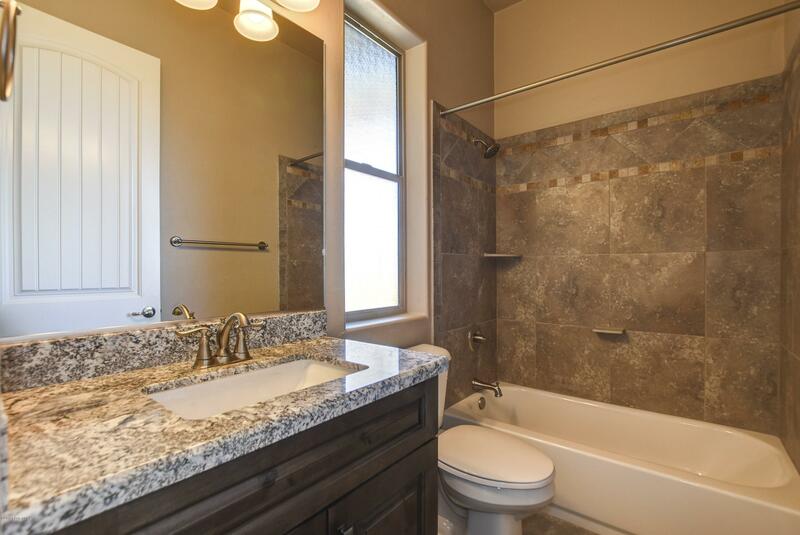 A separate Casita has an additional bedroom and bathroom. 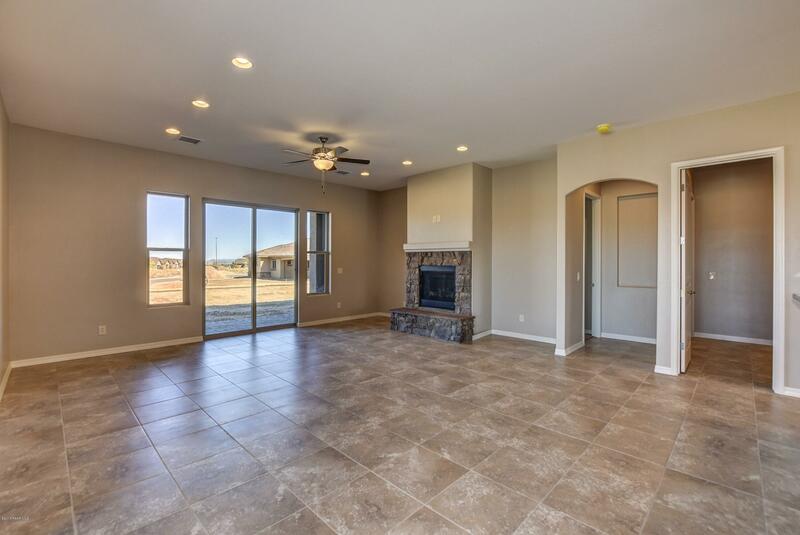 The great room has a cozy stone fireplace. 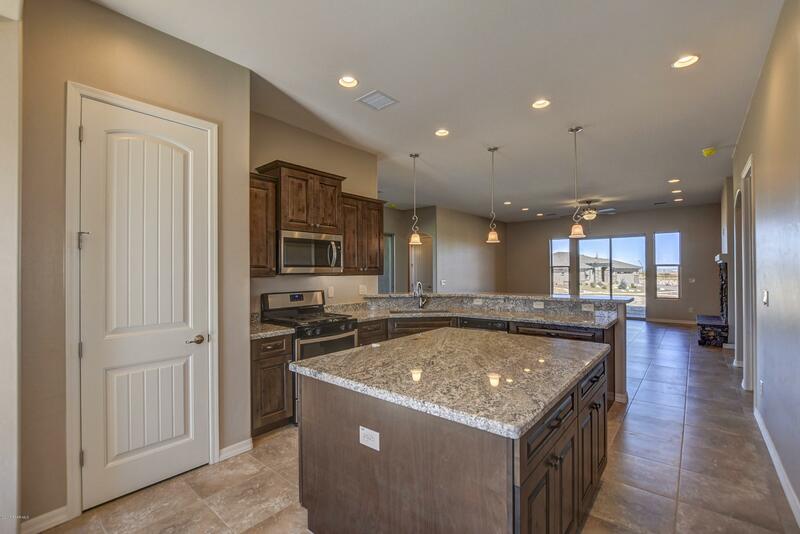 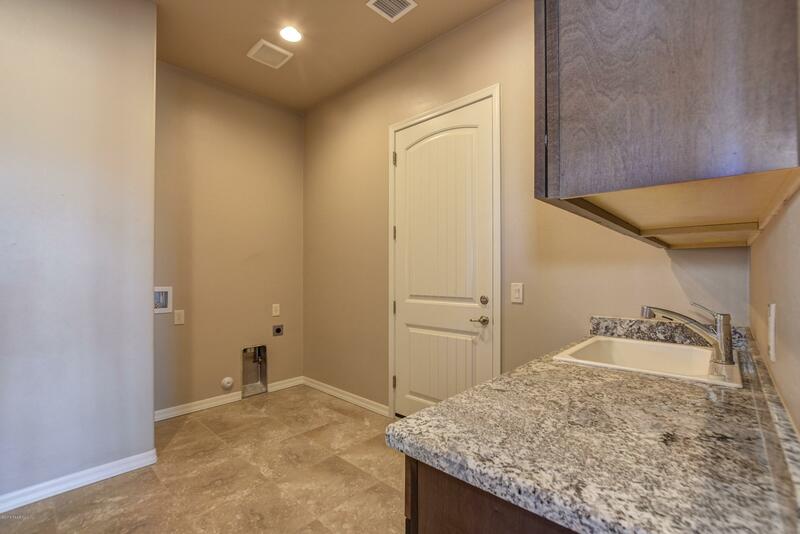 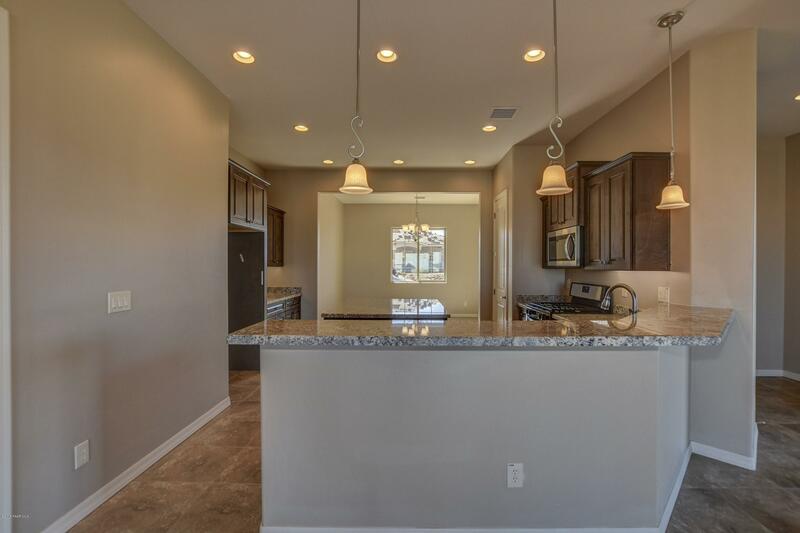 The kitchen is bright and open to the great room with stainless steel appliances, granite countertops, a large island, and a spacious dining area.The master bedroom is huge includes a spacious master bath with a walk-thru shower, granite counter dual vanities and a spacious walk-in closet. 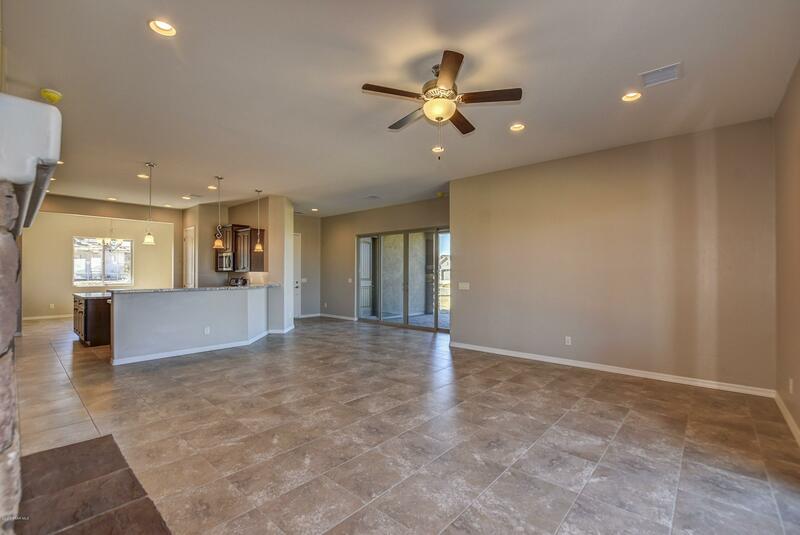 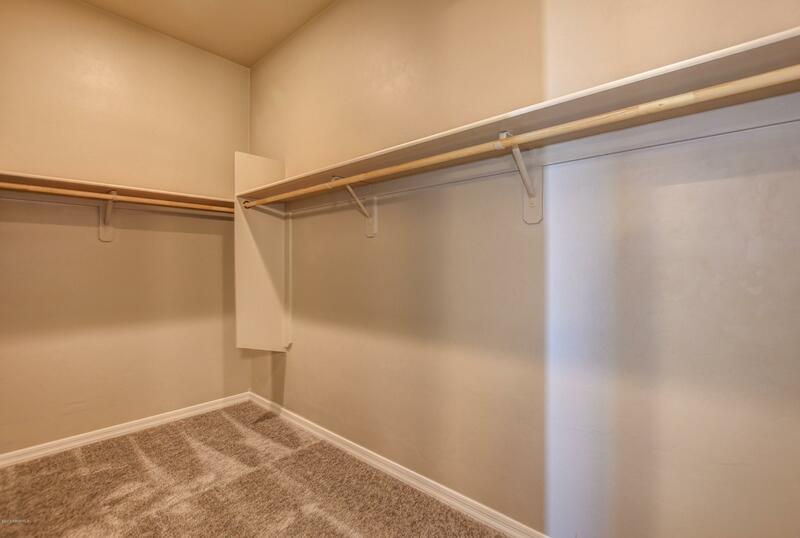 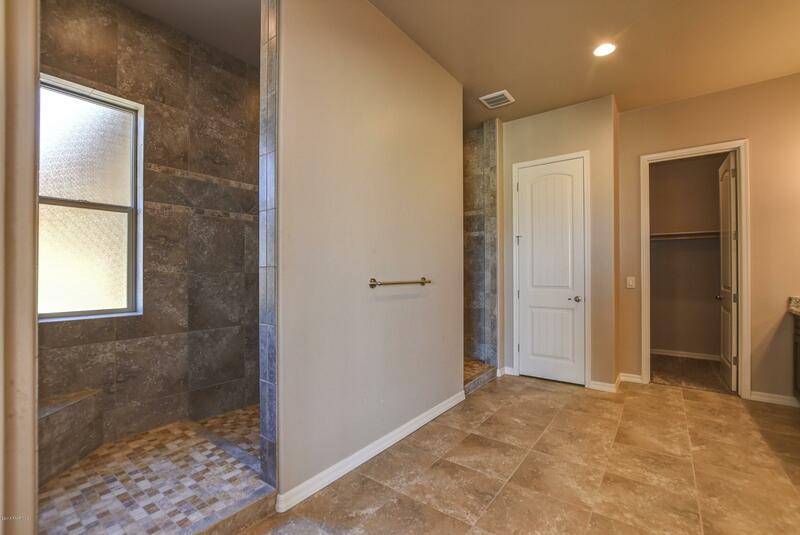 Tile floors throughout all the living areas and walkways. 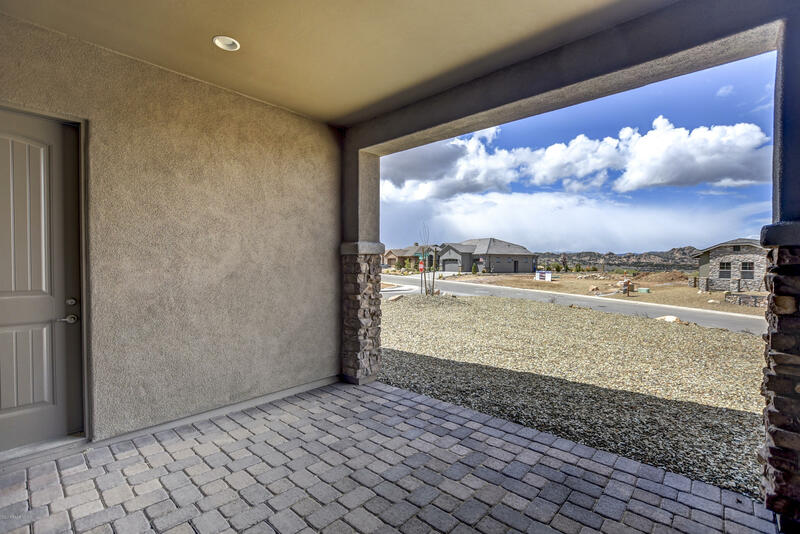 The exterior has stone accents and a paver driveway.Two separate covered outdoor paver patios for entertaining. 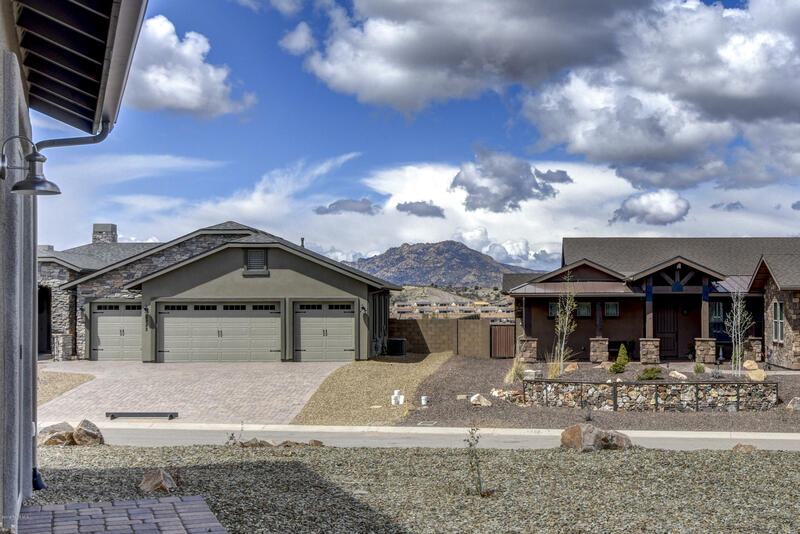 Front yard landscape on a drip system included. 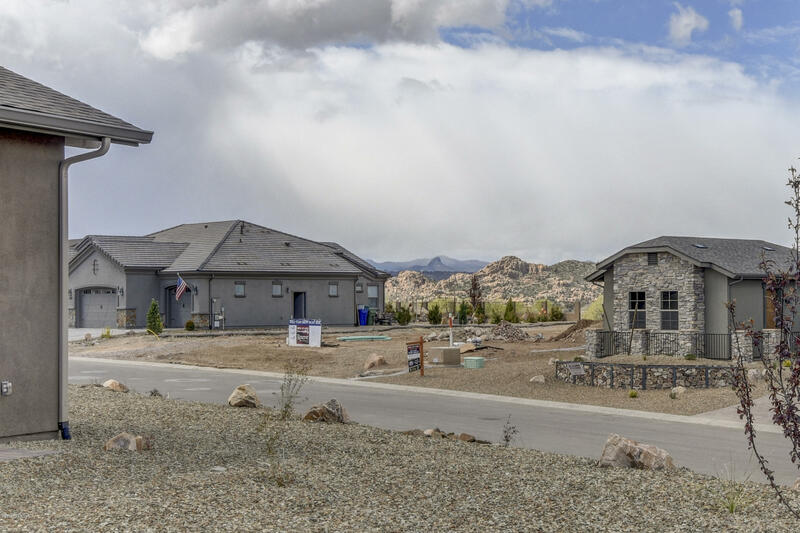 Hwy 89A to Granite Dells Parkway right to Dells Ranch Road, left on Climbing Rock Trail to home on right.